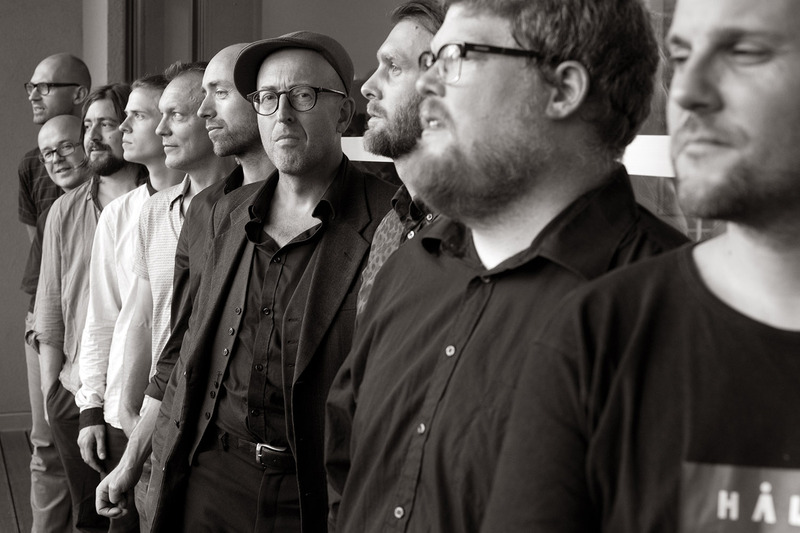 Eirik Hegdal (sopranino saxophone, baritone saxophone); Martin Küchen (alto saxophone); Goran Kajfes, Magnus Broo (trumpet); Mats Äleklint (trombone); Alexander Zethson (piano); Johan Berthling (double bass); Andreas Werliin (drums); Mattias Stähl (vibraphone). You can tell the size of this Swedish collective from the number in its name. The group is currently known as Angles 9 and thus there will be nine musicians on stage at North Sea Jazz. When alto saxophonist Martin Küchen formed the band in 2007, it was called Angles 6; it's clearly growing. Not just in terms of lineup: stylistically, the group is constantly adding new dimensions to its already boundary-pushing repertoire. Küchen and his sizeable horn section never say no to a challenge and regularly assault the eardrums in a way that would have made Sun Ra proud. "Moving, top-class tumult," is how Dutch newspaper Trouw described the band's latest album Disappeared Behind The Sun (released this January). The poignant compositions often take on volcanic proportions. If you don't run for your life, you'll be treated to a show that will reverberate in your memory for a long time to come.